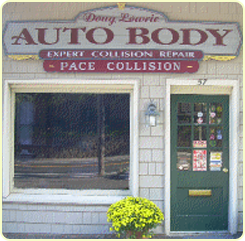 Auto Collision Shop | Bernardsville, NJ - Pace Collision Services, Inc. When your vehicle is out of commission, your entire daily routine is disrupted. We're dedicated to getting you back on the road as quickly as possible so that you can get back to your life. Rely on us to repair your vehicle and return it to top condition. From paint matching to frame alignment, we truly do it all. Additionally, we specialize in dealing with insurance claims. Receive a free estimate today. Since 2001, the people of Bernardsville, New Jersey have depended on Pace Collision Services, Inc. to get their vehicles back on the road after an accident. Our experienced professionals are proud to offer a complete range of collision repair services for both commercial and private vehicles. Our experts are committed to performing the highest quality repairs and offering exceptional service. We never forget that we are working for you, the car owner, as opposed to the insurance company. Our systems are designed to make the process of repairing your car as efficient and worry-free as possible. 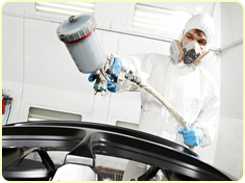 Depend on the professionally trained technicians to repair your car perfectly the first time. Stop by our conveniently located shop today. We are located on the northbound side of Route 202 (Morristown Road) in Bernardsville, New Jersey. The nearest cross streets are Mount Airy Road and Finley Avenue. From 287 South, take exit 30B Bernardsville to the traffic light. Make a left at the light onto Route 202 South. Go 1.7 miles through one light to the shop on the left. From 287 North, take exit 26B Mount Airy Road/Bernardsville. Bear right at the first light. At the next light, make a right onto Route 202 north. Go 0.2 miles to the shop on the right.